Home » Season Trend: Zuma Seasons Is In Style! Season Trend: Zuma Seasons Is In Style! 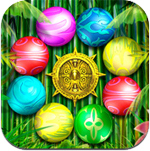 Zuma Seasons iPhone Game Review. One word. Zuma. It says it all. I haven’t played a Zuma game that failed me yet. Zuma Seasons is no exception. The goal of the game is simple. Aim your differently colored balls at the row of balls going through the path and shoot when you can connect the same colored balls. Let the row of balls get to big and reach the end of the path, and you lose. There are two modes to Zuma Seasons. In the Quick mode, you’ll play a quick game with no real stake. 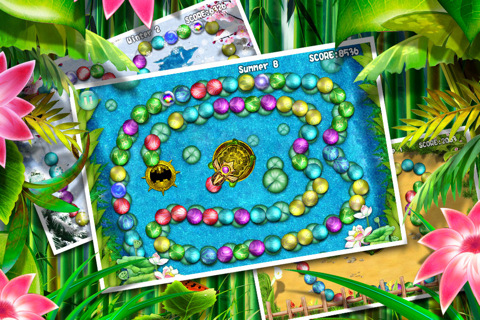 In the Adventure mode, you’ll have to go through 60 different levels, divided into 4 major categories - the four seasons: Spring Island, Summer Island, Autumn Island and the Winter Island - each containing 15 levels filled with fun. These will make up a few good hours of fun. Select your level and start your game. Game play is intuitive. Look at the row of balls sliding along the path and tap where you want your own ball to be placed. If you have two or more balls of the same color already in the row, you’ll take them all out with just one more ball of the same color. It’s a connect-three that just doesn’t get old! 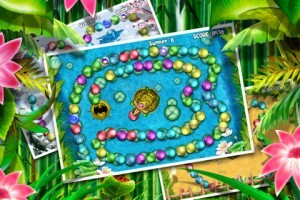 As with most of the Zuma games I’ve seen around, the graphics make up a lot of the quality of the game. 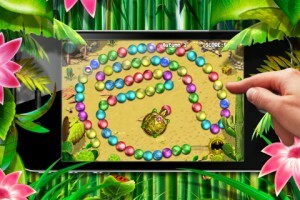 The bold and cheerful graphics will complement the game animations. Depending on the season you’re playing, different backgrounds and also different types of insects will fly around the screen. Everything is carefully thought out. Beautiful! One thing I noticed was that if an insect is hovering over your balls, you can’t aim in that direction. I don’t know if that was on purpose or not, but it was one of those little things that made sense for me and gave the game an extra layer of difficulty that I appreciated. Two more final words on Zuma Seasons: highly addictive! Zuma Seasons is a visual delight. Everything just fits in perfectly. Highly recommended! 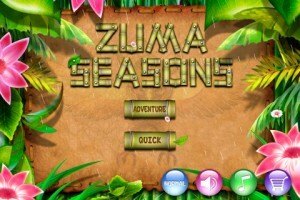 What do you think of Zuma Seasons ? Scroll down for our comment section and let us know!